Don’t worry about what to sell, we buy a variety of items. Everything is fast and easy and all we need is a picture I.D. Very easy and you will get the deserving worth of your items. There are no limits on the amount of items that you can bring in at our location. 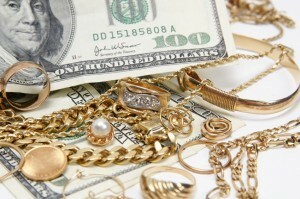 Some items may have no value to you and if you are planning on getting rid of them, you can bring as many as you want. We will gladly assist you and give you the right amount of money you deserve. If you also want to come in and buy some of our items, there is a great selection to choose from. Come and check us out in our convenient location in San Diego. If you are looking to sell jewelry in Chula Vista, we are located in the heart of Downtown Chula Vista on 3rd Avenue between E & F streets. If you are looking to sell jewelry in San Diego, we have locations in Downtown San Diego, Balboa Avenue San Diego, Chula Vista, CA and La Jolla CA where you can bring in the jewelry you want to sell and get cash for jewelry on the spot. Call us at (619)270-1132 or click here to contact us. You can also stop in at our showroom located at 255 3rd Ave., Chula Vista, CA 91910.